While the ‘low-tar’ scheme has been widely recognised as a misleading tactic used by the tobacco industry to deceive the public about the true risks of cigarette smoking, a similar campaign using the slogan of ‘less harmful, low tar’ was launched by the Chinese tobacco industry, that is, State Tobacco Monopoly Administration/China National Tobacco Corporation and began to gain traction during the last decade. Despite the fact that no sufficient research evidence supports the claims made by the industry that these cigarettes are safer, the Chinese tobacco industry has continued to promote them using various health claims. 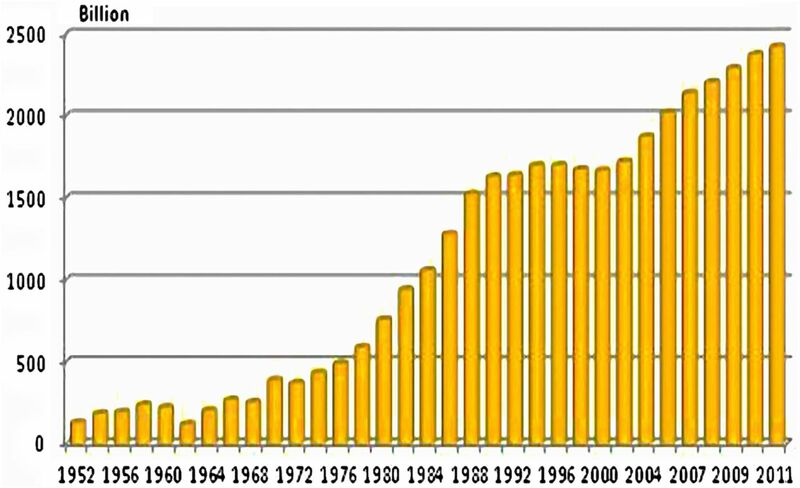 As a result, the production and sales of ‘less harmful, low-tar’ cigarettes have increased dramatically since 2000. Recently, a tobacco industry senior researcher, whose main research area is ‘less harmful, low-tar’ cigarettes, was elected as an Academician to the prestigious Chinese Academy of Engineering for his contribution to developing ‘less harmful, low-tar’ cigarettes. The tobacco researcher's election caused an outcry from the tobacco control community and the general public in China. This paper discusses the Chinese tobacco industry's ‘less harmful, low-tar’ initiatives and calls for the Chinese government to stop the execution of this deceptive strategy for tobacco marketing. Since the early 1960s, faced with increasing concerns over health risks among smokers, the tobacco industry has developed low-tar cigarettes to encourage health-concerned smokers to switch brands instead of quitting.1 Such deceptive tactics from the industry have been widely exposed, and it has been ruled in lawsuits that ‘low-tar’ cigarettes are perhaps the greatest fraud ever perpetrated on consumers in history.2 The use of words such as ‘low-tar’, ‘mild’ and ‘light’ that contribute to consumer misconceptions about disease risks should be banned in advertising and on cigarette packaging. After being debated for half a year, in May, about 100 academicians of the CAE petitioned to review Xie's research achievements, and reconsidered his validation as a qualified academician.26 The 11th Academician Congress of CAE took place on 11 June 2012, but New Academician Xie JP was not invited to attend, and his Academician qualification remained up for debate.27 The news report pointed out: ‘Xie's supporters in CAE believed that the Regulation of CAE must be stringently observed. The procedure of electing the New Academician has been completed, in their view; it cannot be changed arbitrarily’. At the time this paper was written, CAE was still considering this issue and had made no decision. 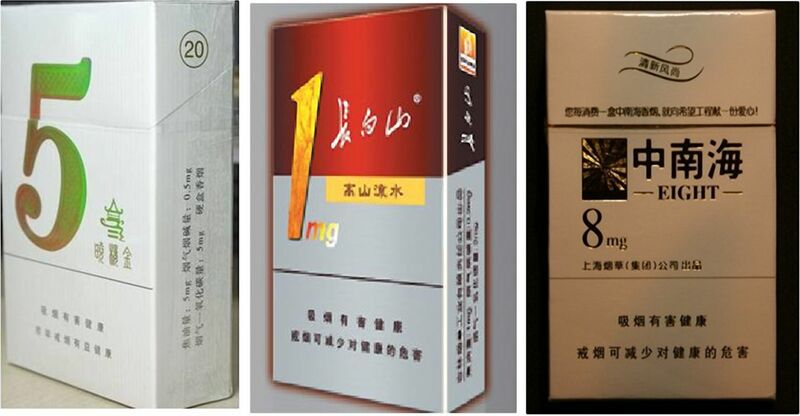 Xie's awards become a marketing tool of the Chinese tobacco industry28 (figure 1). Certification of National Scientific and Technological Progress Award with Bio-Reducing Technology of Cigarettes on the WU YE SHEN cigarettes website. National cigarette sales had declined in the 1990s until the tobacco industry launched the ‘less harmful, low-tar’ strategy in 2000. Since then, the key tobacco industry economic and technological indicators have improved.29 In 2009, overall tobacco production was recorded at 2.29015 trillion sticks (45.803 million boxes) and sales were at 2.28875 trillion sticks (45.775 million boxes), an increase of nearly 40% in tobacco production and sales compared with 2000 (figure 2).30 ,31 Production and sales of low-tar cigarettes have also recorded far more rapid growth than expected. During the first 10 months of 2011, low-tar cigarette production in China was 2.8947 million boxes, an increase of 408%, and sales were at 2.8704 million boxes, an increase of 386% compared with the year before.32 ‘Low-tar’ cigarettes sales grew about 10 times as fast as those of all cigarette products. Cigarette products of Chinese Tobacco Industry, 1952–2011 (data source: Network of Industry in China, http://www.chinair.org/data/D08/201007/01-46830.htm/). The survey results also indicated that those with higher education tended to believe in the industry's claims about ‘low tar’. 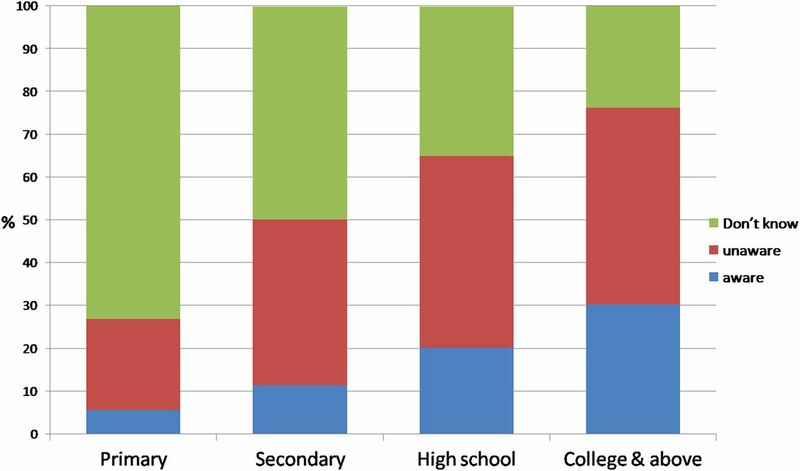 Over 45% of the respondents with a college education and above agreed with the industry claims, unaware that low-tar cigarettes are as harmful to health as regular cigarettes (figure 3). 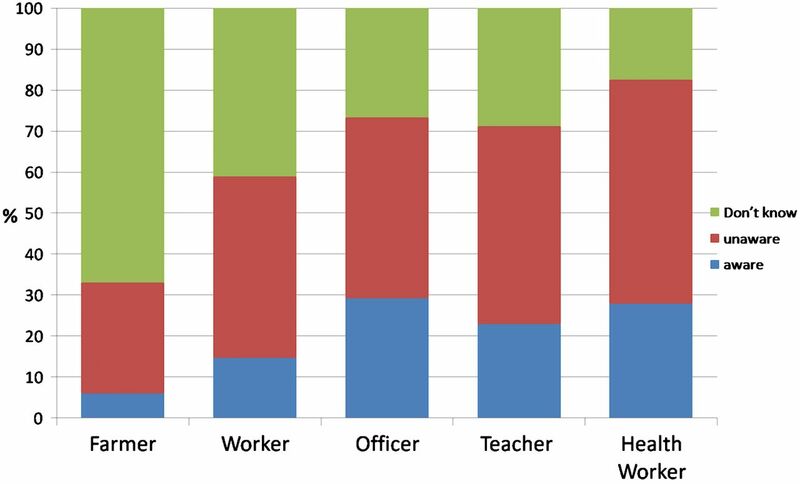 A similar pattern was observed with occupation, and the highest rate of misconception (54.7%) was observed among medical professionals (figure 4). This indicates that the ‘less harmful, low-tar’ tactic used by the tobacco industry to counter tobacco control has indeed paid off, and suggests the critical importance of challenging the industry's misinformation. Awareness that low-tar cigarettes are as harmful to health as regular cigarettes by education. Awareness that low-tar cigarettes are as harmful to health as regular cigarettes by occupation. STMA promote ‘less harmful, low tar’ to counter implementation of the WHO Framework Convention on Tobacco Control (the WHO FCTC) which was adopted unanimously at the 56th World Health Assembly in 2003. The Chinese Government signed the FCTC on 8 November 2003 and the 17th session of the 10th National People's Congress ratified the WHO FCTC on 27 August 2005.34 The FCTC became effective in China on 8 January 2006. The FCTC's Article 11 calls for parties to prohibit the use of terms like ‘low tar’, ‘light’, ‘ultra light’ or ‘mild’. The industry book suggested using blue or green colours to represent the same meanings. Article 11 also requires the health warning to be approved by the competent national authority. The industry strategy book suggests that ‘national authorities’ should be the STMA. Article 11 also calls on parties to ensure that each unit and package of tobacco products shall contain information on relevant constituents and emissions of tobacco products as defined by national authorities. Based on this requirement, the industry book recommends that the STMA/CNTC mark the content of tar, nicotine and carbon monoxide. The industry recommendation has become the domestic regulation on packaging and labelling of cigarette packages in the name of implementing the WHO FCTC in China38 (figure 5). The visible figures of tar content are marked on the front of cigarette packs in China (source: collected and provided by the author). One of the most critical tobacco control measures is to stop the involvement of tobacco companies in public health policies, as mandated by the WHO FCTC Article 5.3, which states: ‘In setting and implementing their public health policies with respect to tobacco control, Parties shall act to protect these policies from commercial and other vested interests of the tobacco industry in accordance with national law’.39 Because the industry (CNTC) and the government administrative agency (STMA) are virtually the same organisation, policies introduced by the STMA in the name of the Chinese government are often de facto anti-tobacco control strategies. This is perhaps the biggest challenge that tobacco control faces in China. In 2008, the WHO China Office stated40 ‘In China ‘reducing tar and harm’ is publicised as (a) tobacco control achievement, but (it) is actually a big lie to mislead consumers by the industry’. The STMA/CNTC uses and abuses its national administrative power to adopt and implement its ‘less harmful, low-tar’ strategy. To effectively implement Article 11 of the FCTC, the State Council should endow the State Food and Drug Administration (SFDA) with the power to regulate all tobacco products, including purported Modified Risk Tobacco Products (MRTPs). The authority to review and approve MRTPs before they are marketed should also be transferred to the SFDA. The State Administration for Industry and Commerce and General Administration of Quality Supervision, Inspection and Quarantine should address the misleading safety claims being made by STMA/CNTC. Also Article 5 of the Law of the People's Republic of China on Tobacco Monopoly should be revised, as it obviously conflicts with WHO FCTC. Finally, the government should support research to investigate the role of STMA/CNTC in disseminating safety and health claims about ‘less harmful, low-tar’ cigarettes. The Chinese government should not permit a replay of the ‘less harmful, low-tar’ deceptions that have already been exposed after costing millions of lives in other countries. Previous studies have found that cigarettes marketed as ‘low tar’ are not less harmful and in many countries, tobacco companies are barred from using such deceptive descriptors. However, such marketing practices continue in China, where the state tobacco company and the state tobacco regulator operate in tandem. This paper describes the tactics used by the Chinese tobacco industry to increase cigarette sales by promoting low-tar and ‘herbal’ cigarettes as healthier alternatives to conventional cigarettes, sponsoring the nomination of an industry researcher on low-tar cigarettes for the renowned Chinese Academy of Engineering, and working to undermine provisions of the WHO FCTC. Given that research suggests that even health professionals believe the ‘low-tar-less-harm’ lie, challenging these industry claims is critical for tobacco control efforts in China. The author thanks Dr Ruth Malone for giving recommendations and help with editing this manuscript. The author also acknowledges the anonymous Chinese-speaking reviewer who provided very careful editing help and suggestions for organising the manuscript. Judge Kessler Final Opinion. United States v. Philip Morris. Civil Action Number 99-2496 (GK), 2006. http://www.tobaccolawcenter.org/documents/FinalOpinion.pdf (accessed 31 Jan 2013).
. 2000 Annual Meeting on Tobacco. http://www.echinatobacco.com/101588/102220/102333/102336/32117.html (accessed 31 Jan 2013). National People's Congress. Law of the People's Republic of China on Tobacco Monopoly, the order of the President of the People's Republic of China (Seventh Section, the 46th) promulgated by Order No. 46 of the President of the People's Republic of China on 29 June 1991 and effective as of 1 January 1992. http://www.people.com.cn/item/flfgk/rdlf/1991/111703199107.html (accessed 31 Jan 2013). STMA. Middle–Long Term Science and Technology Develops Outline of Chinese Tobacco Industry (2006–2020). http://www.tobacco.gov.cn/history_filesystem/07zzcx/ltbj-1.htm (accessed 20 Mar 2012). STMA. The notice on promoting to improve risk of cigarettes by further reducing tar content. State tobacco (2006) 412. http://www.tobaccoinfo.com.cn/zhxx/szgdgg/2006/06/25477.shtml (accessed 31 Jan 2013).
. 2010 Annual Meeting on Tobacco. http://www.tobaccochina.com/news/China/highlight/20101/20101206213_392774.shtml (accessed 20 Mar 2012).
. Speech on the Forum on Development of Chinese Style Cigarette with Low Tar and Less Harm: Paying Attention to the Public Health, Promoting Harmony, 2004 Development. http://www.tobaccoinfo.com.cn/ztxw/2010/04/33312.shtml (accessed 31 Jan 2013).
. The Report on 2009 National Tobacco Working Conference. 13 January 2009. http://www.tobacco.gov.cn/history_filesystem/2009gzh/news1.html (accessed 31 Jan 2013).
. Technology research and application on reducing the harmful ingredients of cigarettes smoke. Acta Tabacaria Sinica 2003;9:17.
. Pernicious effect on the tobacco control from harm reduction of cigarette by tobacco industry. http://cdmd.cnki.com.cn/Article/CDMD-84501-2009203572.htm (accessed 20 Mar 2012).
. Cell biological evaluation for Sheng Nong extraction on reducing harmfulness of smoking. Chinese Tobacco Academic Annual Meeting, 2002. http://wenku.baidu.com/view/c65f5124bcd126fff7050bd3.html (accessed 31 Jan 2013).
. The Index Research on Hazards of Cigarette Smoke. Tob Sci Technol 2009;2. http://www.cnki.com.cn/Article/CJFDTotal-YCKJ200902001.htm (accessed 31 Jan 2013).
. Chinese ‘low-tar’ cigarettes do not deliver lower levels of nicotine and carcinogens. Tob Control 2010;19:374–9.
. Chinese ‘herbal’ cigarettes are as carcinogenic and addictive as regular cigarettes. Cancer Epidemiol Biomarkers Prev 2009;18:3497–501.
. The smoke tar and safety of the cigarettes. Chin Tob Sci 2002;(2):31–4. http://mall.cnki.net/magazine/Article/ZGYV200202009.htm (accessed 31 Jan 2013). Baidu Baike Baike Namecard Xie Jianping. http://baike.baidu.com/view/2908328.htm#1 (accessed 20 Mar 2012). World Health Organization (WHO). Scientific Advisory Committee on Tobacco Product Regulation. SACTob Conclusions on Health Claims Derived from ISO/FTC Method to Measure Cigarette Yield. Geneva: WHO, 2003. http://www.who.int/tobacco/sactob/recommendations/en/iso_ftc_en.pdf (accessed 20 Mar 2012).
. The new development for the Chinese cigarette. Chin Tob 2011;444(3). http://www.echinatobacco.com/zhongguoyancao/2011-02/01/content_250361.htm (accessed 31 Jan 2013). Ministry of Science and Technology, P. R. China. List of National Scientific and Technological Progress Awards. 2003: No. J-211-2-03. Research on improving burley tobacco quality and its application in low-tar cigarettes. http://www.most.gov.cn/cxfw/kjjlcx/kjjl2003/200802/t20080214_59048.htm (accessed 20 Mar 2012). Ministry of Science and Technology, P. R. China. List of National Scientific and Technological Progress Awards. P. R. China: Ministry of Science and Technology, 2004. No. 54. Technology research and application on reducing the harmful ingredients. http://www.most.gov.cn/cxfw/kjjlcx/kjjl2004/200802/t20080214_59054.htm (accessed 20 Mar 2012). List of National Scientific and Technological Progress Awards. P. R. China: Ministry of Science and Technology, 2010. No. 41. Establishing cigarette hazards evaluation and control system and its application. 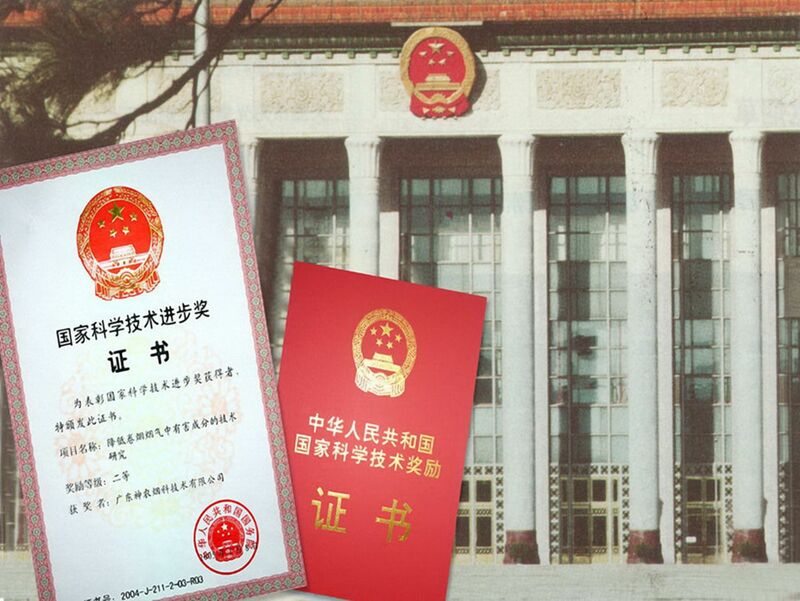 http://www.most.gov.cn/ztzl/gjkxjsjldh/jldh2010/jldh10jlgg/201101/t20110115_84315.htm (accessed 20 Mar 2012).
. Tobacco scientist's election tars academy's image. Science 2012;335:153–4. Tobacco research scholar became the academician, which caused network argue, called Xie ‘tobacco academician dispute’. South Daily. http://china.nfdaily.cn/content/2011-12/09/content_34672668.htm (accessed 20 Mar 2012). MOH of P. R. China. Press release, 12. April 2012 http://www.moh.gov.cn/publicfiles/business/htmlfiles/mohbgt/s3582/201204/54488.htm (accessed 31 Jan 2013). About 100 Academicians ask reviewing Xie’ reconsider his validation as a qualified Academician. Xinhua News. http://news.163.com/12/0530/02/82NHNTV000014AED.html (accessed 31 Jan 2013). ‘Tobacco Academician’ was not invite to attend the 11th Academician Congress of CAE, CAE will continue to discuss his qualification. South Metropolis Daily 2012. http://gcontent.oeeee.com/1/49/14919153f8aaf3af/Blog/f04/5269ac.html (accessed 31 Jan 2013). Wu-Ye-Shen Cigarette: Hu Dong Bai Ke. http://www.hudong.com/wiki/%E4%BA%94%E5%8F%B6%E7%A5%9E#7 (accessed 20 Mar 2012).
. Summary on the low tar cigarette market in 2011. Tob China. http://www.tobaccochina.com/management/market/analyse/201112/2011123083226_496628.shtml (accessed 20 Mar 2012).
. The course of 50 years of China tobacco. China Tob 1999;18. http://www.echinatobacco.com/101588/102220/102320/102351/32484.html (accessed 31 Jan 2013). Chinese commercial information. China cigarettes product, 2001–2010. http://pdf.askci.com//viewdata187311.pdf (accessed 31 Jan 2013).
. Marketing low-tar cigarettes to start new era of digging gold nuggets. New Tobacco 2011;21. http://www.echinatobacco.com/xinyancao/2011-11/01/content_292532.htm (accessed 31 Jan 2013). Chinese Center for Disease Control and Prevention. Global Adults Tobacco Survey (GATS) China 2010 Country Report. Beijing, China: San Xia Press, 2011. The Central People's Government of the People's Republic of China. Tobacco control for 5 years. http://www.gov.cn/fwxx/content_1780112.htm (accessed 20 Mar 2012).
. Preamble one: advance research to meet the requirement of decision-making. In: Zhou RZ, Cheng YZ, eds. Research on Countering Tactics for WHO Framework Convention on Tobacco Control and Impact from Tobacco in China. Beijing, China: Economic Science Press, 2006:13.
. Research on Countering Tactics for WHO Framework Convention on Tobacco Control and Impact from Tobacco in China. Beijing, China: Economic Science Press, 2006. Department of Science and Education. STMA. No. 06. Summary table of project winning award for science and technology of CNTC, 2008. http://www.tobaccoinfo.com.cn/images/zhxx/szgdgg/Uploadpdf/2009/20090330.doc (accessed 31 Jan 2013). STMA, GAQSIQ. The domestic regulation on packaging and labeling of cigarettes package within P. R. China. http://www.gov.cn/gzdt/2008-04/10/content_941504.htm (accessed 20 Mar 2012). WHO FCTC. Article 5.3 of WHO Framework Convention on Tobacco Control. http://www.who.int/fctc/protocol/guidelines/adopted/article_5_3/en/index.html (accessed 20 Mar 2012). Xinhua-PR Newswire. Low-tar cigarettes as deadly as regular cigarettes, WHO Says, 2008. http://www.ecplaza.net/news/11/9341/lowtar_cigarettes_as.html (accessed 20 Mar 2012). Contributors The author conceived the idea and wrote the whole manuscript. Funding This work was supported by NIH project `Epidemiology and Intervention Research for Tobacco Control in China' (R01 RFA-TW-06-006). Ethics approval This study was conducted with the approval of the Institute of Basic Medical Sciences of the Chinese Academy of Medical Sciences.